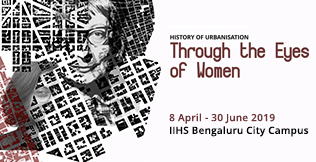 IIHS Library is housed in the Bengaluru City Campus, and is a repository of over 13,000 books,1,200 CDs and DVDs, 630 cartographic materials, 78 print journals and magazines, 52 case studies and 455 bound volumes of journal back issues, in addition to on and off-campus access to over 6,435 e-journals across various disciplines. Smart urbanism is represented as the response to almost every facet of the contemporary urban question globally to rebuild cities through integration of digital technologies with buildings, neighbourhoods, networked infrastructures and people and is emerging as solution to the urban problems widely faced by cities today. 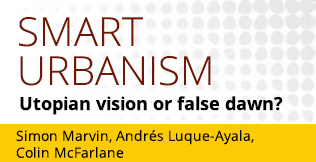 This volume critique and assess whether current visions of smart urbanism are able to achieve their potential. IIHS Library highly encourages the use of its resources and services, open to the public now. 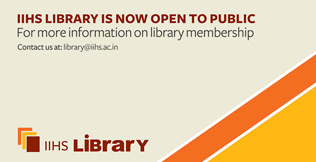 Individuals, academic institutions, corporate institutions and alumni of IIHS can use this membership facility. Members should be Bengaluru-based only to avail the Library services. For more details click here.